Yea, Highway 299 is Open! I really love living in the country alongside the beautiful Trinity River, but it has its problems. It is not like living in the city where you can turn on the tap and water comes out. but, when you use a spring or creek for your water, sometimes animals disrupt your water supply and you have to fix it so you have water in the house. Well, that is what happened to me last week, and that is why I was unable to get out a fishing report. Like the title says, Hwy 299 is now open to controlled traffic. There are still some problems from the Carr Fire along the highway, but Caltrans is doing their best to get the Highway back to being open to all traffic. This means that the road will be travelable for Labor Day Weekend and the opening of salmon season for the Trinity River. The Trinity River Fall Chinook salmon season opens Sept. 1st. The Upper Trinity River quota is 576 adult Chinook salmon. The Limits are; 2 salmon per day with one adult over 22 inches with 6 salmon in possession of which only 3 adults. When the quota is met, you can only keep salmon under 22 inches (Jacks). The Lower Trinity quota is the same as the Upper Trinity; 2 salmon per day with one adult over 22 inches and 6 in possession of which you can only have 3 adults. The Falls area from the Hwy 299 Bridge at Cedar Flat down to the Hawkins Bar Bridge closes to ALL fishing at sundown August 31. All of the Trinity River is open to fishing for steelhead. The steelhead limits are; 2 hatchery steelhead over 16 inches and or 2 hatchery trout per day with no more than 4 trout / steelhead in possession. Last week, when I was up at Del Loma, the smoke was like a light haze and was NOT a problem, as was Willow Creek. Since then, we have had two fires start in Hoopa and they have merged into one big fire that is filling the valley with smoke. Hwy 96 has been closed to controlled traffic so you might want to call ahead before planning to fish the Willow Creek – Hoopa area of the Trinity. From what I have been able to gather, the mouth of the Trinity is clear and fishable with fresh fish coming in. Willow Creek weir trapping: Because of the high water releases, the Willow Creek weir will possibly be installed the week of August 20th. Fishing: Lewiston Dam is now releasing flows of 806cfs. and because of the Carr Fire and the power plant reduction, there has been extra water releases into the Trinity. This has brought in some early salmon and steelhead so fishing should be good in the upper portions of the Trinity for the Sept. 1st opening of Fall Chinook salmon season, with a bonus of fair steelhead fishing. The Lower Trinity has seen a good influx of Fall salmon and steelhead but the smoke from the fires has made some problems. The fires have also closed Hwy 96 to controlled traffic. The Tish Tang area of Hoopa is open but I don’t know how bad the smoke is down there. Willow Creek to Hawkins bar is smoky but tolerable. Mid-Klamath: Iron Gate Dam is releasing summer flows of 979cfs. Here again, we have some problems with smoke from the fires. Iron Gate is releasing less water because of the need to reduce power production and that changes things in the upper part of the Klamath. Right now, the Mid –Klamath is doing Ok, the lower water flows in the upper part of the Klamath, but as you come down the river, flows start to pick up below the Siead Valley. 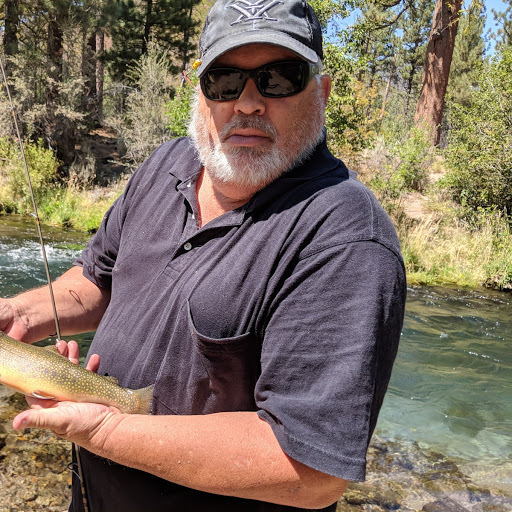 In the Orleans area there are several areas that are showing signs of good fishing with fish rolling in the mouth of Bluff Creek, ½-pounders around Slate Creek and Hopkins Creek. There should be some fair to good fishing below Orleans down to Johnson, but there is the problem of the fires and road closures. We also still have some river closures for Native American Ceremonies. 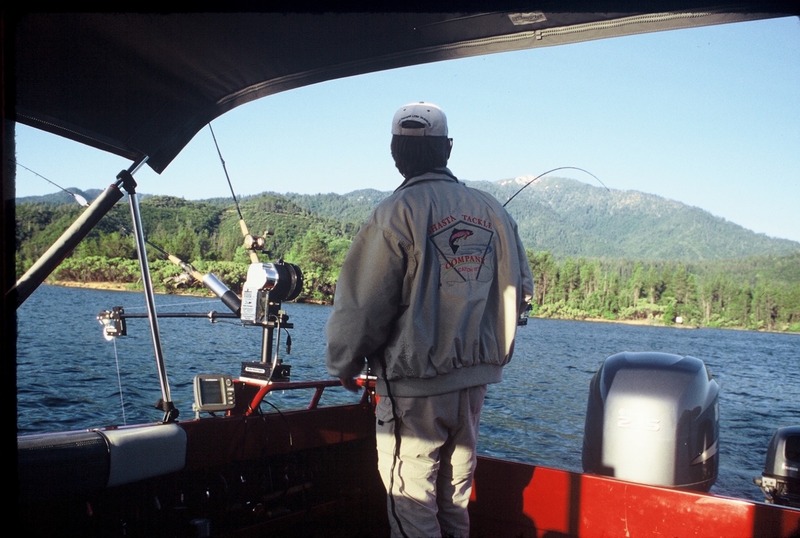 Lake Conditions: Whiskeytown is N/A% of capacity (an increase of 0%) with inflows of N/A cfs and releasing N/A cfs into Clear Creek and on to Keswick. Shasta is 63% of capacity (a decrease of 10% and 15ft) with inflows of 1,715 cfs and releasing 8,673cfs, Keswick is 89% of capacity (a decrease of 6%) with inflows of 8,772cfs and releasing 9,486cfs; Oroville Lake is 49% capacity (a decrease of 9% & minus 32ft), inflow is 1,628cfs and releases are 7,443cfs; Folsom Lake is 54% of capacity (minus 18% & minus 19ft.) inflows are 1,675cfs and releases are 3,127cfs. Trinity Lake: The Lake is 59ft below the overflow (a decrease of 6ft), and 66% of capacity (2% decrease) Inflow to Trinity Lake is 0cfs and Trinity Dam is releasing 1,835cfs to Lewiston Lake with 1,029Acfs going to Whiskeytown Lake and on to Keswick Power Plant, which is releasing 8,772cfs into the Sacramento River. Trinity River flows and conditions: Lewiston Dam releases are 806cfs with water temps of 51.3 degrees and air at 60 at 9:00am yesterday, Sunday. Limekiln Gulch is 5.4ft at 8332fs, with water temps of 51.2 degrees. Douglas City is 6.9ft at 800cfs, water temps of 52.4 degrees and air is 59 Junction City is 2.5ft at 765cfs. Helena is 9.7ft at 789cfs with water temps of 57.8; Cedar Flat (Burnt Ranch) is 3.4ft at 835cfs. Willow Creek is estimated at 889cfs and air is 60 with water at 63. Hoopa is 11.89ft at 903cfs with water temps of 66.79.1. Flows at the mouth of the Trinity River at Klamath River are estimated to be 2,265cfs. Klamath: Iron Gate Dam releases are 979cfs. Seiad Valley is 1.7ft at 983cfs. Happy Camp is estimated at 1,025cfs, Salmon River is 1.6ft at 210cfs, Somes Bar is estimated at 1,152cfs and Orleans is 2.7ft. at 1,362cfs and the Klamath River at Terwer Creek is 8ft at 2,634cfs, with water temperatures of 69.3 degrees. Flows at Dr. Fine Bridge are 4.8ft at 300cfs. The low temperature in the Valley last week was 54 but ran in the low 60s a high of 96, with 0.00in of rain and a season total of 68.45in of rain and a total of 4.15in of snow. Temperatures in the valley next week are expected to run 95/51 degrees with sunshine during the first part of the week and possible scattered showers in the latter part of the week.